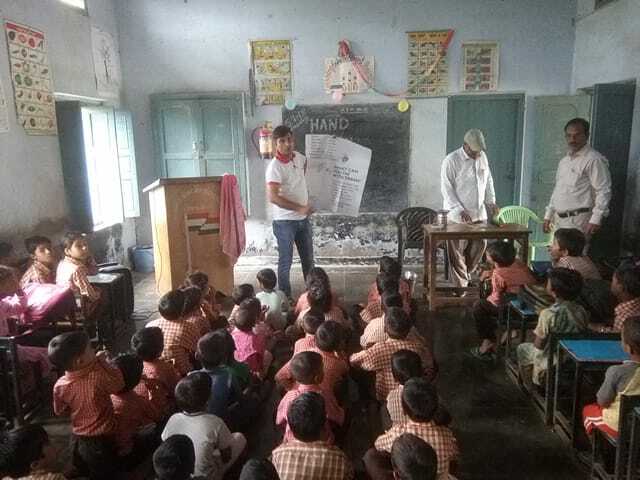 Spreading the message of Swachh Bharat, one story at a time. 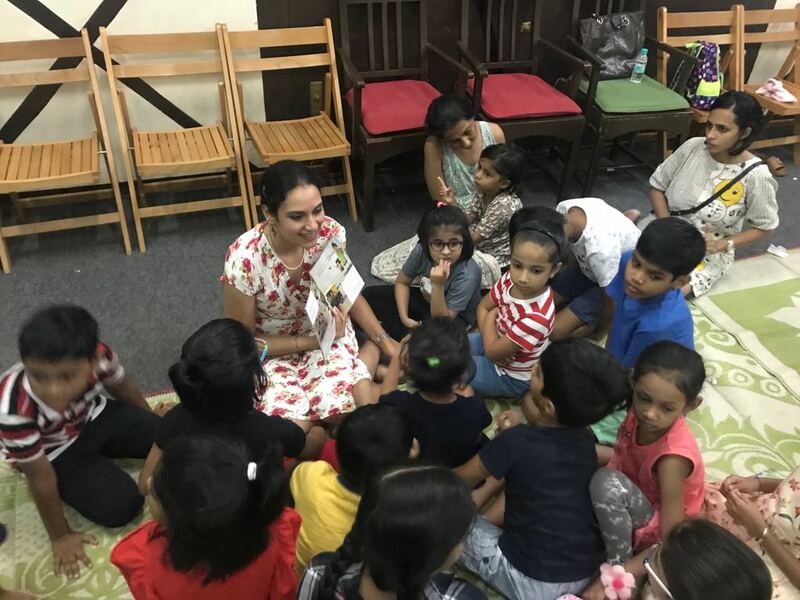 5000+ Champions joined hands with Pratham Books to conduct 5500+ storytelling sessions in 25 Indian languages in 23 Indian states, 4 Union Territories, and 7 other countries. 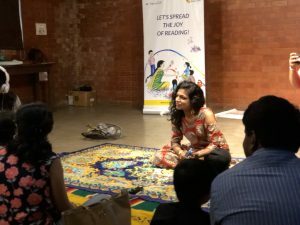 One Day, One Story is Pratham Books’ annual flagship event, a nationwide storytelling campaign, aimed at helping children discover the joy of reading. 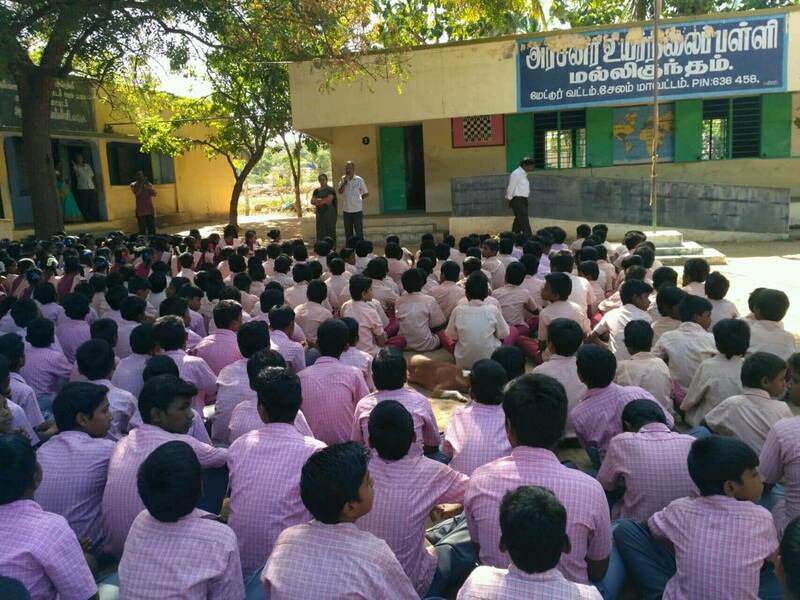 This year’s campaign began with a storytelling session for Class III students of Heritage School, Jammu – and ended today, on Swachh Bharat Diwas, with sessions at a government school in Thiruvananthapuram. 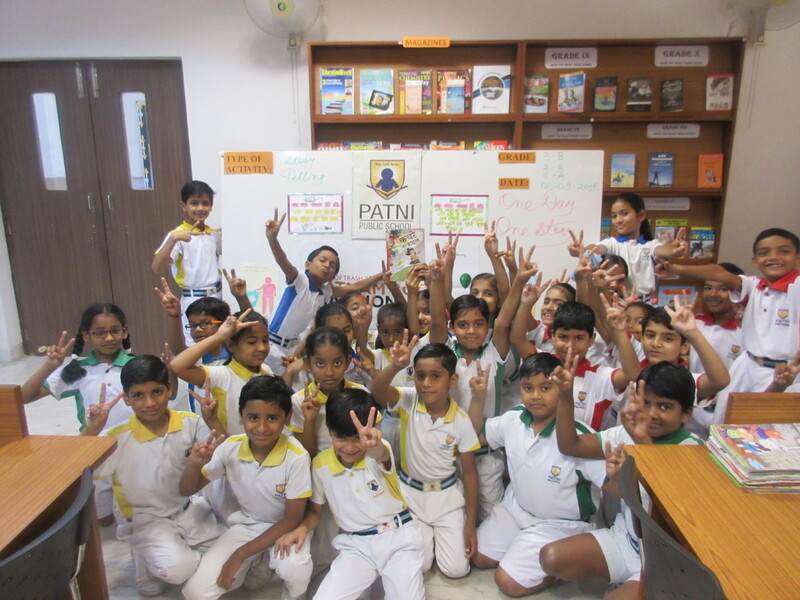 Every year, One Day, One Story is celebrated on and around International Literacy Day, September 8. This year, given that India was the global host of 2018 World Environment Day, and that we are all part of the Swachh Bharat Mission, we chose a book that carried the message of pollution awareness — and action, so that the next generation realises the importance of reducing waste and keeping our surroundings clean. 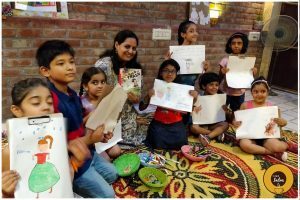 Pratham Books’ A Cloud of Trash is a charming children’s picture book written by Karanjeet Kaur and illustrated by Bhavana Vyas Vipparthi. It’s the story of a little girl called Cheekoo, who has a cloud of trash hanging over her head. 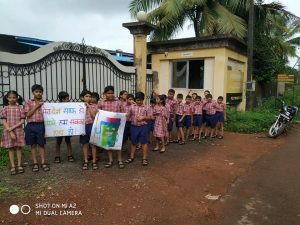 This makes her very, very unhappy, and as we follow her story, we learn a little more about trash, about keeping our surroundings clean, and how everyday waste can, and should, be reused, recycled, or disposed of responsibly. The story works well for children across different ages and reading levels. One Day, One Story is a volunteer-driven campaign, now in its seventh year. It enables individuals and organisations to be champions of literacy, and read a story with children in their neighbourhoods, cities, towns, and villages in a language of their choice. 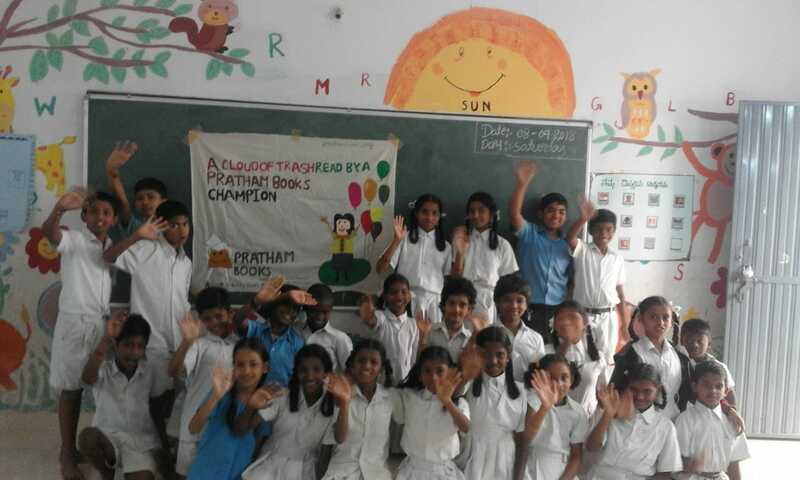 This year, over 5,000 Pratham Books Champions (#PBChamps) have successfully conducted 5500+ sessions for children in schools, libraries, bookstores, neighbourhoods, and NGOs. 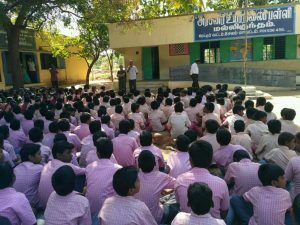 These sessions were held in 25 languages, and were spread across 23 states of India, 4 Union Territories, and 7 other countries. A message like this deserves every form of amplification and reach it can garner. The story, in all languages, can be read and downloaded for free as e-books on StoryWeaver, Pratham Books’ digital platform. Radio Mirchi has produced audio versions of the book in six languages, that are also free to listen to on SoundCloud. This year, Pratham Books also collaborated with community radio station networks like Gramvaani whose Mobile Vaani Clubs reach over 7 lakh users in Uttar Pradesh, Madhya Pradesh, Jharkhand, and Haryana, and who helped over 1300 unique listeners enjoy the story on their phones. Radio Active CR, Bangalore’s community radio station, too, featured the story. With partners like Worldreader, a digital version of the stories was shared with children worldwide through their mobile app – with over 7700 ‘opens,’ and over 5400 ‘reads.’ In India, as well, the stories were shared on the Stones2Milestones app used by thousands of students. 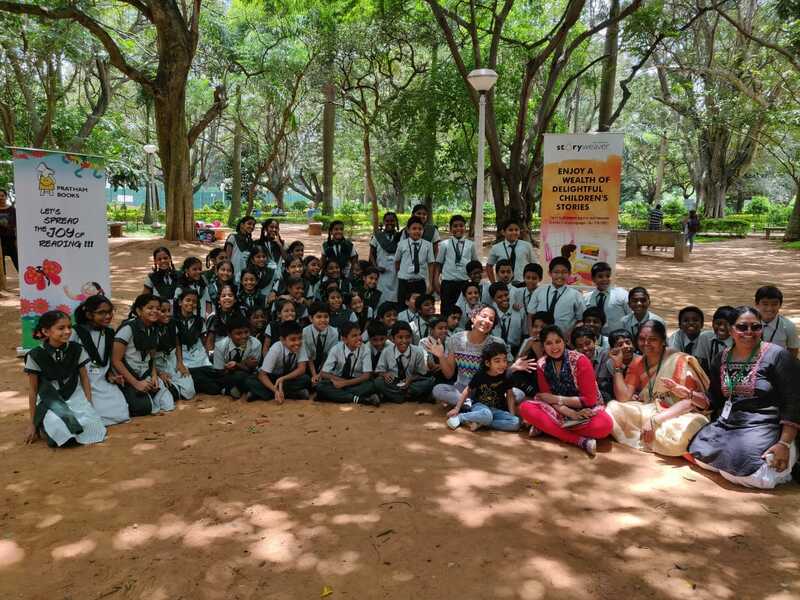 The Indian Express Online published the story so that more parents and children could read it. 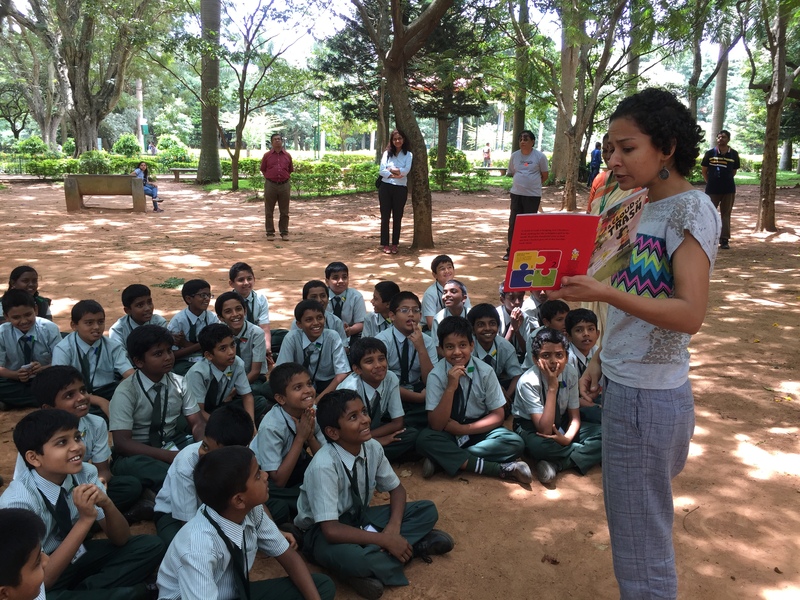 In Bangalore, Readalong versions of the story were distributed through teachers’ groups on WhatsApp. Champions developed the theme to suit their audiences. 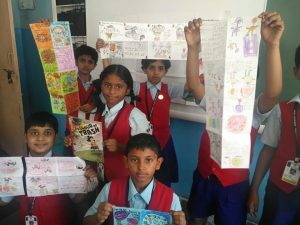 We saw comic book versions of the story, recycling and upcycling exercises, and more. 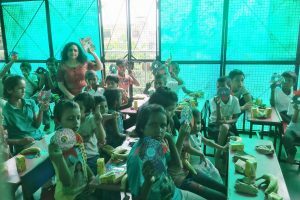 Some sessions are followed by talks with waste management experts, while others invite children to discuss ways to reuse everyday items. 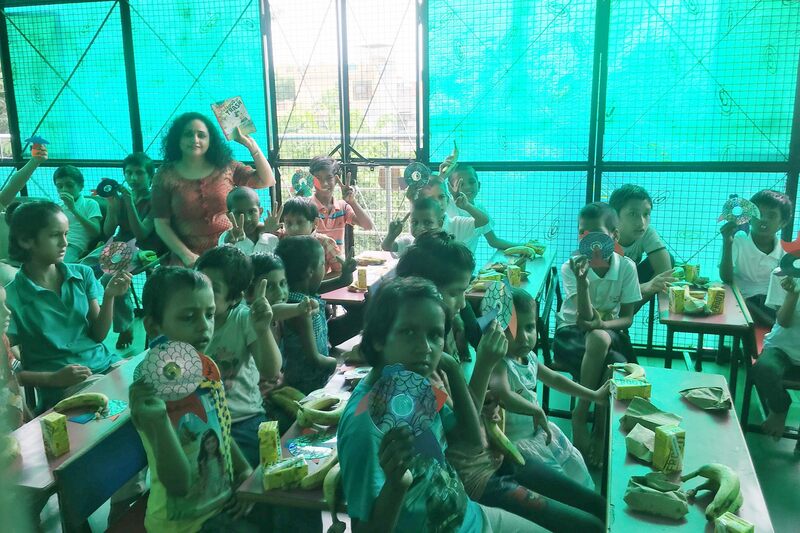 As September coincided with the Ganesh Chaturthi festival, some Champions followed their sessions with a workshop on making a recyclable Ganesha! 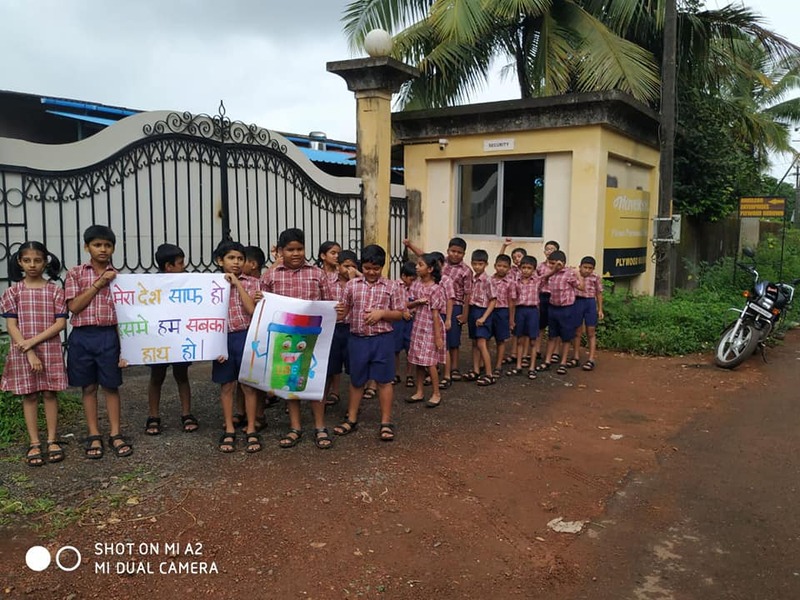 It’s been a thrilling campaign for all of us at Pratham Books as we’ve seen how schools, storytellers and students have adopted the theme of reducing waste, and doing away with plastic pollution. We hope that stories like A Cloud of Trash lead children to seek out stories that introduce them to new ideas, or make them think about things differently. 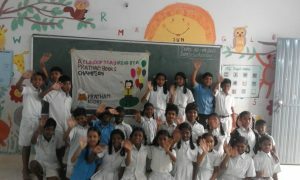 Over 5,000 Champions join hands with Pratham Books to spread the message of protecting the environment! Gandhi Jayanti: 10 books on the Father of the Nation for kids.